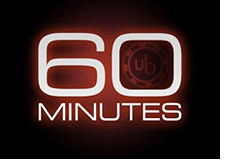 The oft-delayed 60 Minutes piece about the Absolute Poker / Ultimatebet "superuser" scandals will finally run this Sunday on CBS. The story, which is a collaboration between 60 Minutes and the Washington Post, will run this Sunday at 7 pm ET/PT. The piece is titled "The Cheaters." -"60 Minutes / Washington Post Joint investigation Questions Honesty, Security of Gambling Sites"
-"...That's because managers of the mostly-unregulated $18 billion Internet gambling industry failed to respond to their complaints"
-"...Though such gambling is illegal in both Canada and the U.S., the betting laws in those countries have no jurisdiction on the sovereign reservation." The story will contain interviews with some of the key people involved in investigating and bringing to light the original Absolute Poker "superuser" scandal. According to the CBSNews web site, this story comes as the result of a four-month investigation that was carried out by 60 Minutes correspondent Steve Kroft, producer Ira Rosen and Washington Post report Gilbert Gaul. This story will almost certainly do its very best to bury AB/UB and likely the online poker industry as a whole. Many will be tuned in to 60 Minutes on Sunday to see just how damaging the story is - it would be interesting to know just how many casual players at Absolute Poker and Ultimatebet stop playing at the two rooms because of this story. 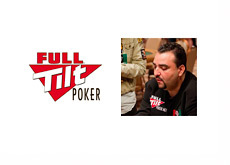 The bigger question is - how much damage will the entire online poker industry suffer as a result of this story? We'll soon find out.